6x Savvies® SU75 Protector de Pantalla para Polar A360. Savvies UltraClear Protector Pantalla para Polar A360: Alta transparencia, protección contra arañazos, fáciles de montar. Los protectores de pantalla Savvies® SU75 UltraClear son los protectores transparentes y anti-arañazos adecuados para su Polar A360. 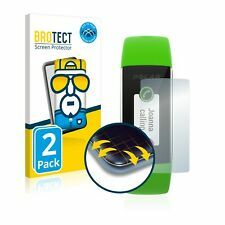 2x BROTECT® Flex Full-Cover Protector de Pantalla Completa para Polar A360. La alta flexibilidad y la fuerte adhesión garantizarán la protección perfecta de tu Polar A360. La sensibilidad táctil original de tu Polar A360 se conservará. 18x Savvies® SU75 Protector de Pantalla para Polar A360. Savvies UltraClear Protector Pantalla para Polar A360: Alta transparencia, protección contra arañazos, fáciles de montar. Los protectores de pantalla Savvies® SU75 UltraClear son los protectores transparentes y anti-arañazos adecuados para su Polar A360. El producto incluye el escudo delantero de la pantalla que ofrece una protección fantástica para su dispositivo. Tenga en cuenta: el producto debe ser aplicado con una cantidad muy pequeña de agua (al igual que todos los otros protectores de pantalla de este tipo). 2x Vikuiti™ Protector Pantalla CV8 de 3M™ para Polar A360 (2x Pantalla). Más de 1 millón de votos positivos. 10 años de Know-How de Producto. La capa de adhesiva de la lámina protectora recubre incluso pequeños arañazos haciéndolos invisibles. La resolución de la pantalla de suPolar A360 no se verá alterada al disponer de un diseño tan claro como el cristal. Seguirá utilizando su móvil como siempre. La lámina de protección Polar A360 se pone en la pantalla sin presión. Polar A360. Atención: ¡Con el dispositivo Polar A360, sólo es posible una protección en el centro de la pantalla! Usted recibe con este pedido películas protectoras cuadradas - adaptadas al interior de su pantalla. The screen protector is made from a military grade material originally used to protect helicopter blades in the army. It leaves no residue on your device if it needs to be taken off. • 1x Ace Case Shield, Front Screen Invisible Protector. 2x BROTECT® Flex Full-Cover Screen Protector for Polar A360. With the BROTECT® Flex Full-Cover screen protector you get the perfect all-round protection for your curved screen. With the assembled foil you’re going to protect your curved screen perfectly against dust and scratches. Why risk becoming infected?. Did you know that your device is a source of bacterial infection?. Our technology embeds antibacterial agents on the screen protector´s outer layer, killing the bacteria on your display. Confidentiality is a human nature; however our smartphones expose this when in public. Curiosity from wandering eyes is undoubtedly uncontrollable. People sitting beside you or passing by tend to intentionally and unintentionally take a quick peek at your screen for many reasons. Celicious Privacy Plus for Huawei Honor 4A is a 4-way privacy screen protector that helps protect sensitive information from prying eyes by narrowing the viewing angle so that the screen is only visible to individuals directly in front of the screen. This is achieved via the embedded micro-louver technology that blacks out the screen at an angle of 45 degrees either side of the lit display without blurring or image distortion. It is engineered to offer privacy for when your smartphone is used in either portrait or landscape orientation. Confidentiality is a human nature; however our smartphones expose this when in public. Curiosity from wandering eyes is undoubtedly uncontrollable. People sitting beside you or passing by tend to intentionally and unintentionally take a quick peek at your screen for many reasons. Celicious Privacy Plus for Honor 6A is a 4-way privacy screen protector that helps protect sensitive information from prying eyes by narrowing the viewing angle so that the screen is only visible to individuals directly in front of the screen. This is achieved via the embedded micro-louver technology that blacks out the screen at an angle of 45 degrees either side of the lit display without blurring or image distortion. It is engineered to offer privacy for when your smartphone is used in either portrait or landscape orientation. Confidentiality is a human nature; however our smartphones expose this when in public. Curiosity from wandering eyes is undoubtedly uncontrollable. People sitting beside you or passing by tend to intentionally and unintentionally take a quick peek at your screen for many reasons. Celicious Privacy Plus for Lenovo Vibe A is a 4-way privacy screen protector that helps protect sensitive information from prying eyes by narrowing the viewing angle so that the screen is only visible to individuals directly in front of the screen. This is achieved via the embedded micro-louver technology that blacks out the screen at an angle of 45 degrees either side of the lit display without blurring or image distortion. It is engineered to offer privacy for when your smartphone is used in either portrait or landscape orientation. 6x Savvies® SU75 Screen Protector for Polar A360. Savvies UltraClear Screen Protector for Polar A360: Crystal-Clear, easy application, excellent price quality ratio. The Savvies® SU75 UltraClear screen protectors are manufactured in Germany with the latest high-precision laser machinery. Why risk becoming infected?. Did you know that your device is a source of bacterial infection?. Matte and Anti-Glare. Our technology embeds antibacterial agents on the screen protector´s outer layer, killing the bacteria on your display. 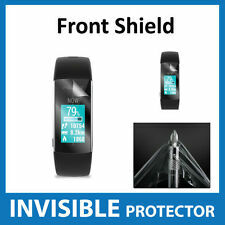 2Pcs Ultra Clear TPU Full Screen Protective Film Anti-shock Soft Film Protector Guard Cover Shield Film Skin for Polar A360 A370 Smart Watch. Specifically designed for Polar A360 A370 Smart Watch. Compatible Device: Polar A360 A370. Vikuiti™ screen protector CV8 for Polar A360: Ultra clear and highly adhesive, hard-coated, residue-free removal. The film surface can easily be cleaned in most cases with a dry cloth. Marker pen ink can be simply removed. Confidentiality is a human nature; however our smartphones expose this when in public. Curiosity from wandering eyes is undoubtedly uncontrollable. People sitting beside you or passing by tend to intentionally and unintentionally take a quick peek at your screen for many reasons. Celicious Privacy Plus for Xiaomi Redmi 6A is a 4-way privacy screen protector that helps protect sensitive information from prying eyes by narrowing the viewing angle so that the screen is only visible to individuals directly in front of the screen. This is achieved via the embedded micro-louver technology that blacks out the screen at an angle of 45 degrees either side of the lit display without blurring or image distortion. It is engineered to offer privacy for when your smartphone is used in either portrait or landscape orientation. 6x UltraClear Screen Protector Film. Polar A360. You're buying a low-cost and simple display protection for your unit. Application of the display protection foil requires no liquids Regular use of this display protection foil increases the resale value of your unit! 2x Golebo Crystal Screen Protector. With this precisely fitting display protection foil you are purchasing an especially cost effective alternative to protect your display of scratches to 100%. The transparency of the display protection foil is crystal clear and application is easy and air pocket free. 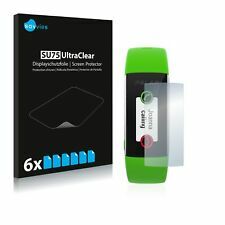 18x Savvies® SU75 Screen Protector for Polar A360. Savvies UltraClear Screen Protector for Polar A360: Crystal-Clear, easy application, excellent price quality ratio. The Savvies® SU75 UltraClear screen protectors are manufactured in Germany with the latest high-precision laser machinery. Polar A360. You're buying a low-cost and simple display protection for your unit. Application of the display protection foil requires no liquids Regular use of this display protection foil increases the resale value of your unit! Confidentiality is a human nature; however our smartphones expose this when in public. Curiosity from wandering eyes is undoubtedly uncontrollable. People sitting beside you or passing by tend to intentionally and unintentionally take a quick peek at your screen for many reasons. Celicious Privacy Plus for Huawei Honor 5A is a 4-way privacy screen protector that helps protect sensitive information from prying eyes by narrowing the viewing angle so that the screen is only visible to individuals directly in front of the screen. This is achieved via the embedded micro-louver technology that blacks out the screen at an angle of 45 degrees either side of the lit display without blurring or image distortion. It is engineered to offer privacy for when your smartphone is used in either portrait or landscape orientation. 4x Golebo Crystal Screen Protector. With this precisely fitting display protection foil you are purchasing an especially cost effective alternative to protect your display of scratches to 100%. The transparency of the display protection foil is crystal clear and application is easy and air pocket free. These 2armoured screen protectors for the Polar A360 are highly flexible and are only minimally thicker than standardscreen protectors for the Polar A360. The screen fracture protection film Polar A360 adheres to the display without pressure. Confidentiality is a human nature; however our smartphones expose this when in public. Curiosity from wandering eyes is undoubtedly uncontrollable. People sitting beside you or passing by tend to intentionally and unintentionally take a quick peek at your screen for many reasons. Celicious Privacy Plus for Xiaomi Redmi 4a is a 4-way privacy screen protector that helps protect sensitive information from prying eyes by narrowing the viewing angle so that the screen is only visible to individuals directly in front of the screen. This is achieved via the embedded micro-louver technology that blacks out the screen at an angle of 45 degrees either side of the lit display without blurring or image distortion. It is engineered to offer privacy for when your smartphone is used in either portrait or landscape orientation. These 4armoured screen protectors for the Polar A360 are highly flexible and are only minimally thicker than standardscreen protectors for the Polar A360. The screen fracture protection film Polar A360 adheres to the display without pressure. 2x DISAGU ClearScreen screen protection film - antibacterial, blue-light-cutting. The Polar A360 protection film is virtually transparent and does not have negative effects on the display. Polar A360. 4x Golebo Semi-Matt Screen Protector (Anti-reflection function). This precisely fitting display protection foil makes reflections of images and light disperse on the display due to its semi-matt surface, and are thus less visible.